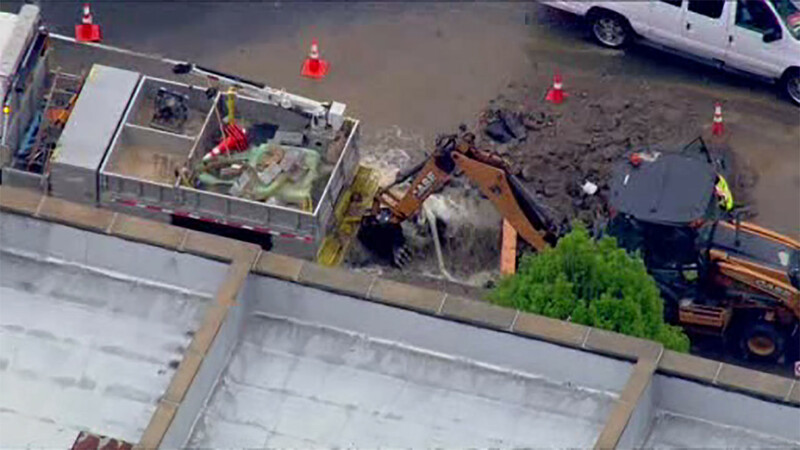 MELROSE, Bronx (WABC) -- A 12-inch water main that broke in the Melrose section of the Bronx Monday was repaired by Tuesday morning. The incident happened at noon on Brook Avenue and East 157th Street, and left over 200 without water. Officials say there was initially a geyser coming out of the street, but the water was shut off. The Department of Environmental Protection confirmed that it completed repair work on Brook Avenue. Water service has been restored and the excavation site was backfilled.